1. 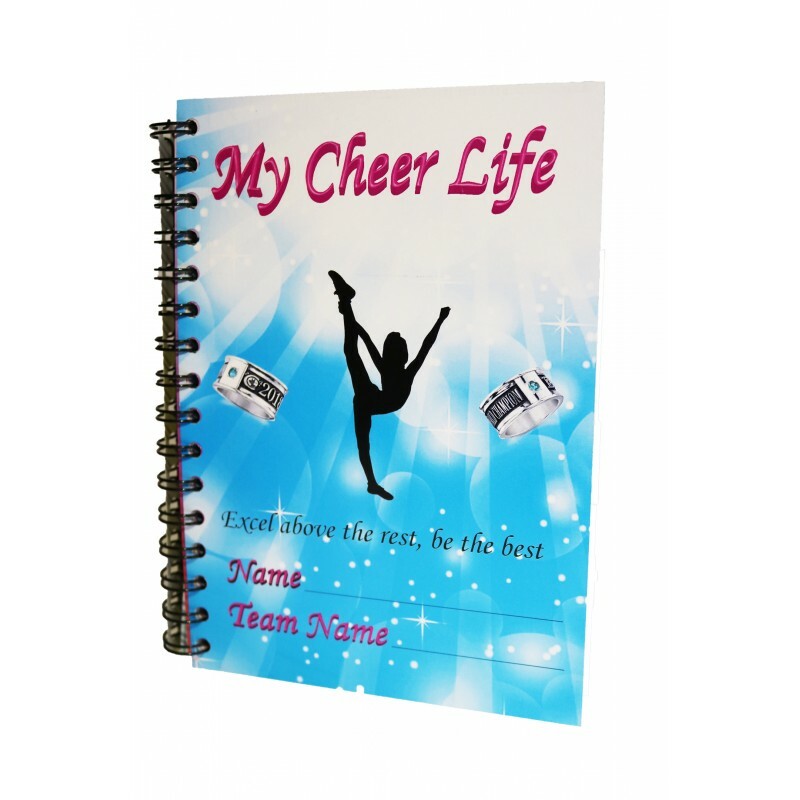 All About Me: Write about your family, friends, cheer, school, dreams, season goals, put in photos of the season, note down your favourite songs for mixes, create a chant, design uniforms, tips about staying healthy at competition and so much more! 2. My Skills: What level are you working on? There is a spot for your coach to write tips and sign off when you get your skill which allows parents to follow where the athlete is up to and aspects they could be working on at home! Educational to both parents and athletes for skill progression. 3. Comp Timer: Keep track of your competitions, fundraising, goals, and cheer budget in this section. 4. Be Organised: official weekly calendar for the 2018-2019 year helps you stay organised with school and cheer.